Elliott Chandler, author of the film review for ‘You Carry Me’. You Carry Me (Ti Mene Nosiš, 2015) is a film produced in Croatia, which originally aired as a television series, Da sam ja netko (If I Were Someone). Ti Mene Nosiš is available on Netflix as You Carry Me (2016) with subtitles in five languages. The purchase of the rights to You Carry Me by Netflix is among the film’s many successes. Other successes include the naming of Ivona Juka as ‘the laureate in the film section […] writing and directing her feature debut.’ The dialogue is a colourful Zagrebtonian language with traditional Balkan passion. Dora, Ives and Nataša face deteriorating relationships with their fathers: Neglected Dora is reunited with her father in the text; Ives is struggling to care for her father, Ivan, who has Alzheimer’s; and Nataša, who is pregnant, comes face-to-face with the father who abandoned her. The director identifies father-daughter relationships as the most significant aspect of the film. The plot centres on changing relationships between men and women, between fathers and daughters, and also between husbands and brothers. These are complex stories, and they are wrapped in some wonderful cinematography that showcases admirable storytelling and affective symbolism. To read more reviews, visit Elliott’s blog here. 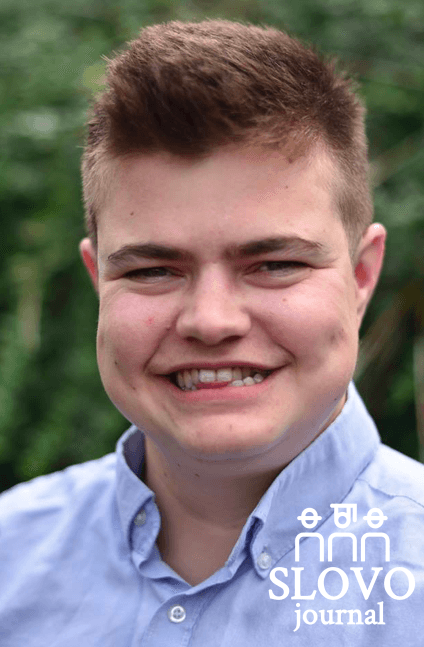 Elliott is an English Literature graduate, and is interested in history, romanticism, and Serbo-Croat culture. The film review for ‘Ti Mene Nosiš/You Carry Me’ by Elliott Chandler (The School of Slavonic and East European Studies, University College London) was published in SLOVO Journal, VOL 29.1, and can be read in full here.